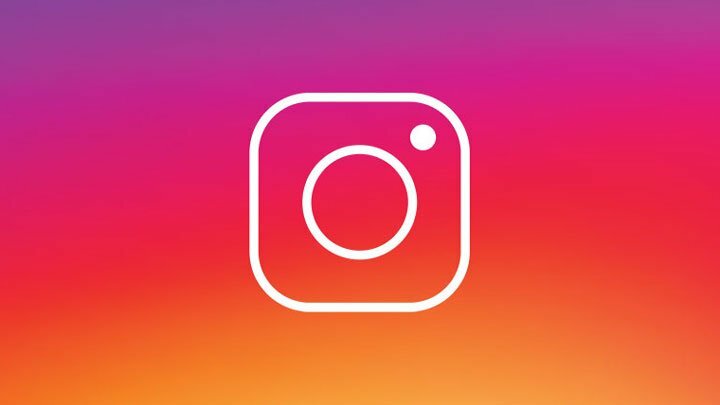 Since its release for the Android platform on 3 April 2012, Facebook-owned Instagram has become the one stop app for all the selfie obsessed and Photoholics out there and by the way just for your information, according to Wikipedia this very same app was downloaded and installed on Android devices more than one million times on the said date. 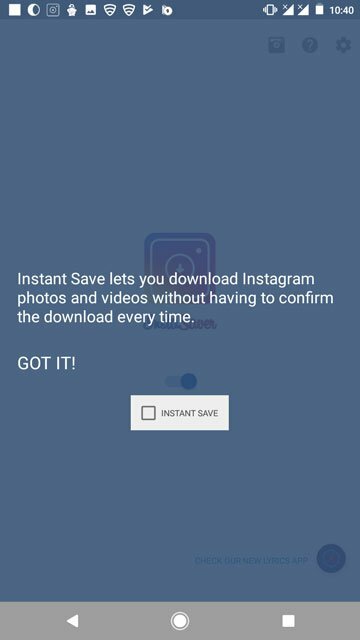 One feature that a lot of users have been requesting for eternity is the ability to save photos and videos on to their device, but in vain this badly wanted feature has never ever made into the official app. 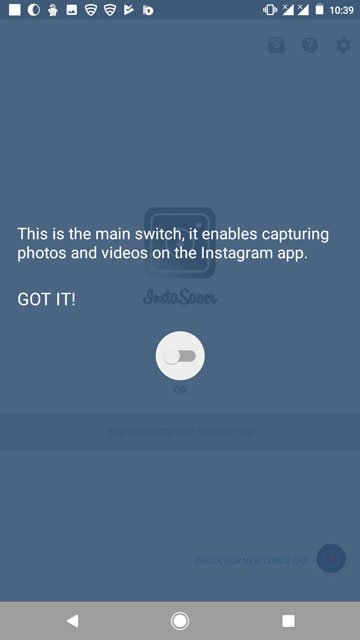 Today, I have for you the 3 best apps worth checking out if you want to download Instagram photos and videos directly to your Android device’s gallery. This is my top pick out of the three because it is actually an unofficial full fledged Instagram client that looks identical, works similarly and has all the features of an official Instagram client but with the ability to download photos and videos, zoom in and out of any photo, download story and you can even know who all are following you by just viewing their profile. 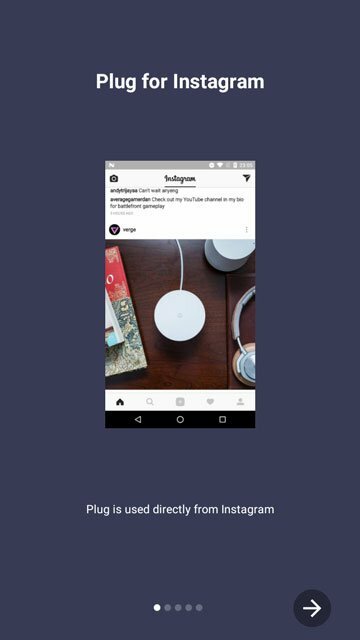 The interface is exactly the same as the official Instagram client from head to toe. 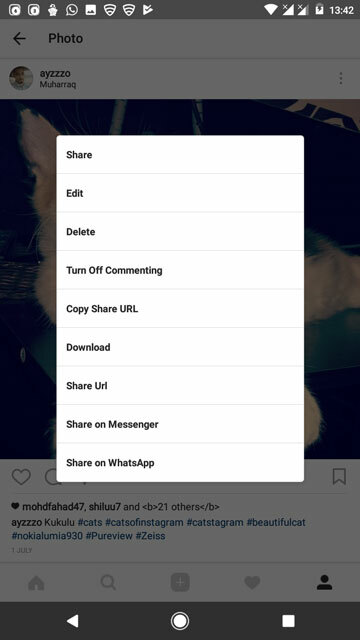 Tap the three dot button as you normally would to bring up the share menu and you have the usual options available on the official app, but here in this app, you get two more extra options that are download and Copy Share Url. 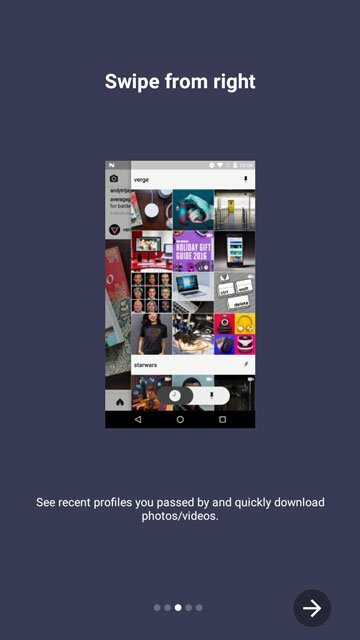 Download saves the media to your gallery and there is just a toast notification for the download and it takes place quietly in the background. 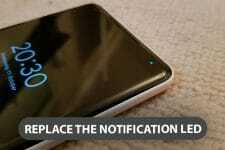 Copy Share Url allows you to share the URL address of a photo or video to anyone or anywhere you like to. 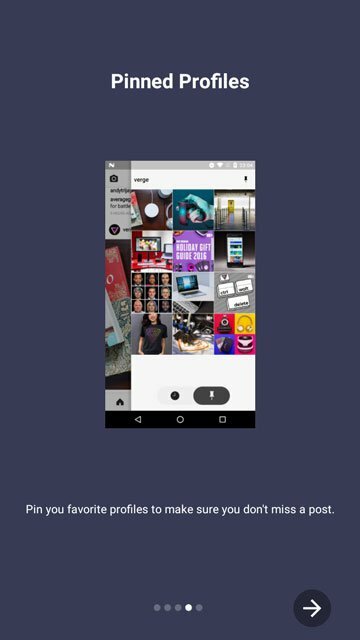 Coming to an end of the feature set, this app also allows you to zoom in and out of a photo by just tapping and holding a photo. 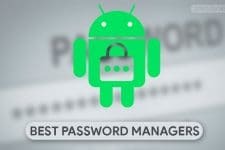 This app is not available on Google Play Store, so you will have to download and sideload it to your phone and remember to enable Unknown Sources on your phone prior to installing this app by going into your phone Settings > Security . Link to the official website is below. 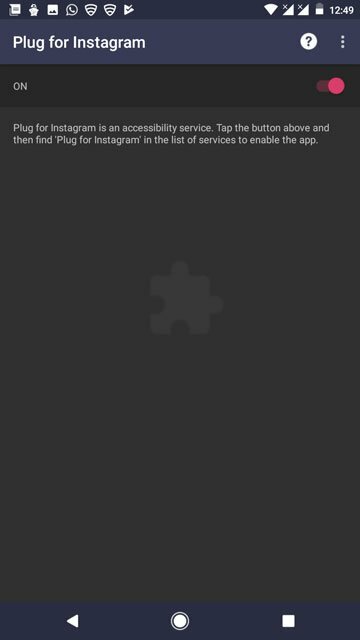 Plug for Instagram is second on my list. 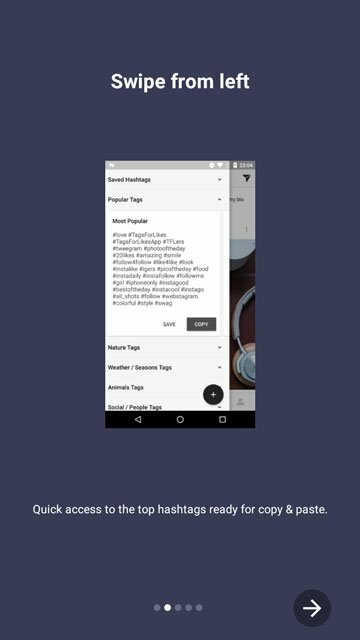 It is not any unofficial client or something like OGInsta+ rather, it is just a plugin for the official Instagram client that not only has a download feature but also has a feature called Activation bubbles which upon activating from this app’s preferences, shows a bubble at each edge of the display. These bubbles are for your reference to show you that you can swipe from the left edge of the screen for quick access to hashtags and these are ready to save, edit, copy and paste. 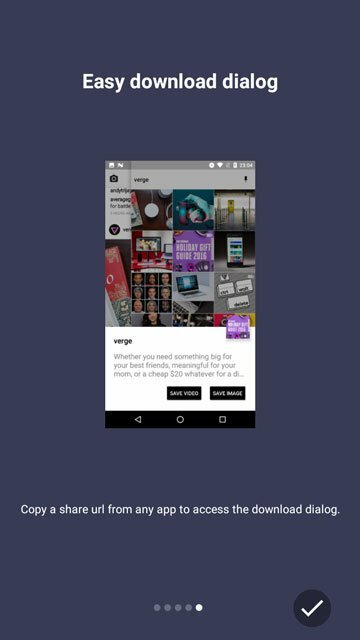 Similarly, swipe from the right edge of the screen to access to view the profiles you passed by recently and also to pin your favorite profiles to be updated of their latest posts. You can turn off these Activation bubbles if you wish to do so in preferences and by the way downloading a photo or video is done by tapping the three dot button or share button located on the right side of each post and then tapping Copy share Url. 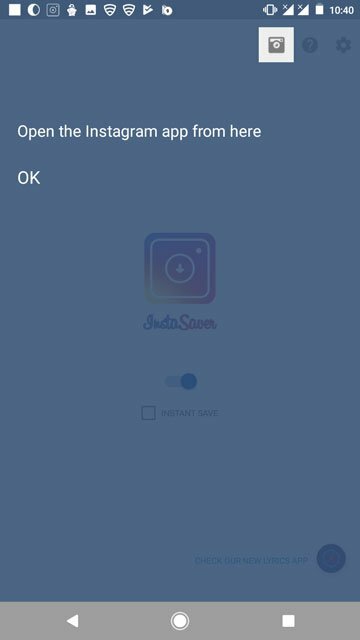 InstaSaver by the developer TiredCruncher is a pretty straight forward app to download your favorite Instagram media. 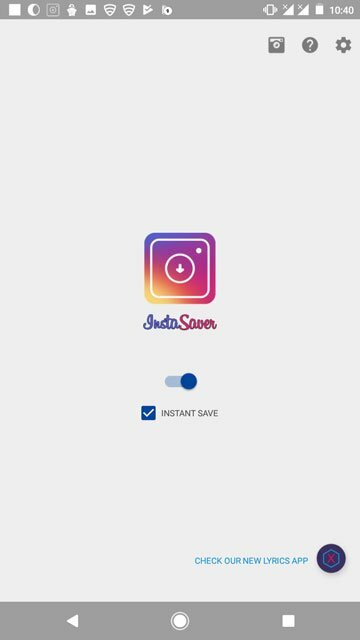 You just have to enable the InstaSaver switch, then tick the INSTANT SAVE check box to save the downloaded media without any confirmation. 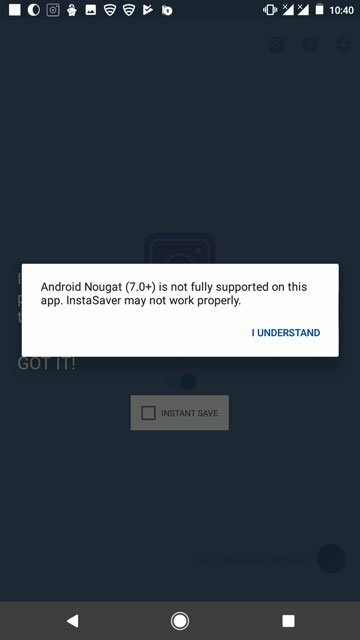 Launch Instagram by tapping the Instagram icon at the top and tap the three dot button or the share button and select Copy share Url and Voila!, you are done.The app will warn you that it does not fully support Android Nougat (7.0+) and that it may not work properly. Just ignore that warning.